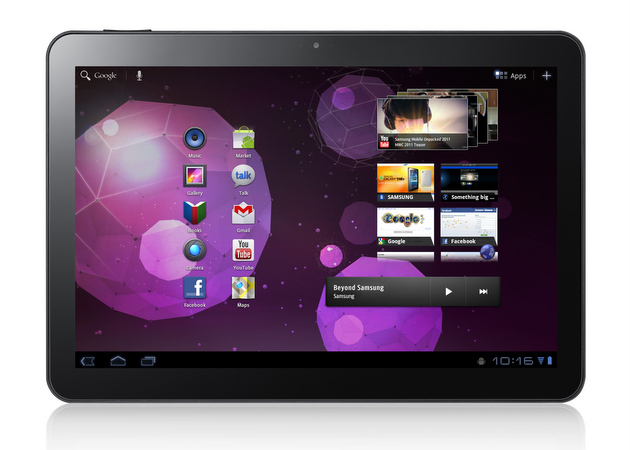 Samsung Galaxy Tab 10.1 Wi-Fi Updates Begin Rolling Out On Friday, Ready For TouchWiz? Are you a happy Samsung Galaxy Tab 10.1 Wi-Fi owner? Then you should start checking your tab for an update this Friday, August 5th. If you just so happen to live in New York City, and don’t have time to just sit around and wait for an update, Samsung is also hosting an “Update Party” in Columbus Circle today. Get on it. The update will have a few additional features besides just the bump up to the TouchWiz UI. It will also come with Words with Friends, and Amazon Kindle pre-installed, plus the newest version of Swype for Honeycomb. Samsung has been on top of their game lately, so let’s hope they stay consistent. We should point out again, this is just for the Wi-Fi only version. No update expected yet for the Verizon 4G LTE version. DROIDX Finally Receiving Gingerbread Bug Fixer in Mid-August?